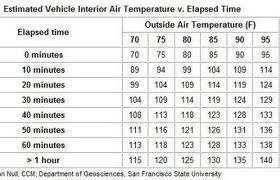 At one point or another, most of us have been exposed to the countless messages warning of the dangers of children being left alone inside of hot cars and trucks. The people over at KidsandCars.org and SaferCars.gov have done a great job of providing accurate information and useful materials for spreading awareness about the dangers of children in hot vehicles. But even with all of these attempts at public education and outreach, incidents of child heat stroke – specifically those resulting from a child being left alone in a hot vehicle – remain a huge problem in the United States. In fact, KindsandCars.org says that an estimated 38 kids each year die as a result of heat stroke they suffered from being locked in a hot vehicle. Why Are There So Many Child Vehicular Heat Stroke Deaths? An interesting piece of data to look at is the correlation between the number of airbag deaths and the number of child vehicular heat stroke deaths over the past two decades. Essentially, this data reflects how specific types of vehicular deaths to children have been approached and how the frequency of those incidents has changed over the years. 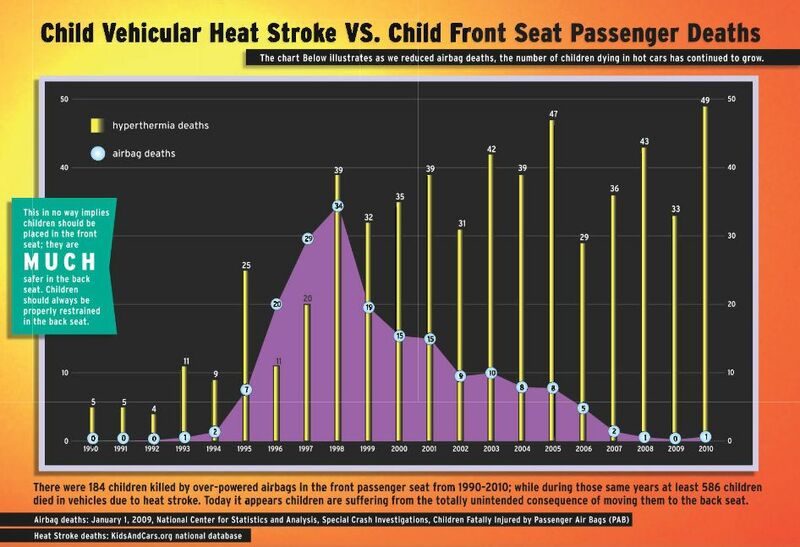 KidsandCars.org put together this helpful graphic to illustrate the trends in children killed by over-powered airbags in the front passenger seat in comparison to the number of kids who died in vehicles from heat stroke. As you can see, the number of child deaths from both of these factors increased significantly around 1994 and 1995. But after 1998, the number of child deaths from airbags began declining dramatically while the number of heat stroke deaths stayed high and even continued to increase. It makes perfect sense, doesn’t it? The realization that more and more children were being killed by over-powered airbags influenced parents to move their younger children to the back seat. However, it appears that this cultural shift may have increased a parent’s chances of forgetting about their child and leaving them alone in a hot vehicle. That's not to say that infants and other young children should be allowed to sit in the front seat of any vehicle, as the graph clearly demonstrates that was what led to such a high rate of airbag-related fatalities. But it does mean that parents need to be much more diligent when transporting their children at all times, and especially when the weather is warm. 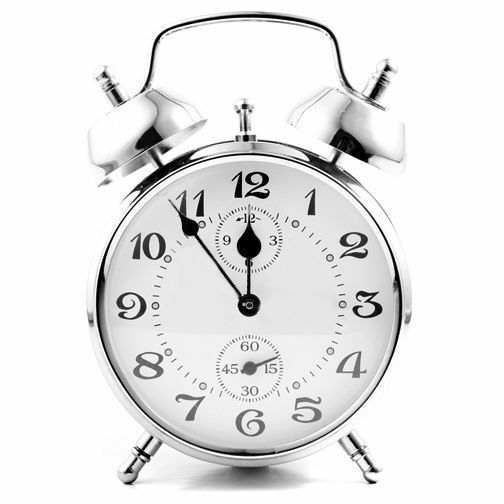 If you have a potential child injury case, contact Davis Law Group.